We often feel the need to use words like hero along with other powerful words to describe deserving people with the courage and audacity to pursue their life-long dream and bring change to their community. But often times we tend to overuse such terms of endearment or reserve it exclusively for heroic acts of bravery. However, some people are beyond deserving of being called heroes. They embody the spirit and the courage as well as hard work and dedication it requires to be called a hero. This individual may not be the athlete who won accolades or the soldier who saved his comrade from enemy fire. Nonetheless she is someone who works day in and day out to fulfill the needs of her community. Therefore, the administrators of OromoTV.com would like to shine light on everyday heroes like Mergitu Argo. We are both honored and humbled to meet an amazing individual who works for the greater good of the Oromo people both in her immediate community and beyond. As we extend our gratitude and appreciation to Mergitu Argo for all that she does for the Oromo people of Seattle, Washington as well as the greater North America we would like to showcase her deep involvement in her community. Although, we may be familiar with the likes of the recent phenom, Toltu Tufa we rarely get the opportunity to meet incredible women who work hard to improve the lives of Oromo’s. Through, informative articles based on recommendations we receive from our visitors we will continue to shine positive light on incredible women like Margitu Argo. Ms. Argo moved to the United States early 1990’s and immediately felt the need to get involved in her community in Seattle, Washington. She witnessed the growing distance between immigrant parents brought up in East Africa and their children born in the United States. She searched for ways to bridge this gap and ultimately joined a program she felt can solve this growing divide. She joined Refugee Women’s Alliance in late 1990’s, a program which teaches English as a Second Language (ESL), conducts regular parent education workshops, as well as classroom interpreting. In her capacity as case manager she was a fierce advocate for East African’s. She regularly meets with community members and city and state officials to further improve parent child relations as well as help refugees adjust to life in the United States. As many immigrants can attest the transition to the United States where language and cultural barriers are an everyday issue, many in the Seattle area are grateful to have such a dedicated and committed advocate. Furthermore, she felt the need to help fellow Oromo immigrants find employment. Almost a decade ago she joined Neighborhood House as an employment specialist. She was charged with playing a pivotal role in helping immigrants find meaningful employment. As an employment specialist she helps employees and employers find meaningful solutions to issues that arise as a result of language and cultural barriers. She also coaches both parties to nurture mutual understanding of these barriers. And, as a job coach with Rainer Vista, home to 59 different languages and Seattle’s well known diverse public housing community she is the go to person for opening doors and finding meaningful employment for her fellow Seattleite immigrants. Many Seattleites appreciate her hands on approach to helping them solve many of their communities concerns. And, many more describe her as the Mayor of Seattle for the immigrant community where she works tirelessly to improve the livelihood of an otherwise disfranchised and underserved community. Perhaps they call her the Mayor of Seattle because in November 2013 she had Mayor McGinn of Seattle wear the traditional Oromo clothing and introduce himself in Afaan Oromo to the cheering applause of Seattle’s Oromo community. We prefer to call her the Queen of Seattle. However, what many may not recognize is that she works in different capacities to be the voice of Oromo people of Seattle. Ms. Argo is simply AMAZING! In addition to the aforementioned positions she holds, of which we have only managed to scratch the surface. Ms. Argo serves on the African Community Network board in Washington. Another coveted position that allows her to be an advocate for Oromo immigrants as well as others. She is also a member of the East African Police Advisory Council, where she plays a pivotal role ensuring the immigrant community is well understood by the local police force. As a respected member of the Council she gives both the Oromo community as well as other immigrants an avenue by which they can share their concern and build a lasting mutual relation with local law enforcement agencies. What’s more she is one of select individuals who hold’s position in Seattle Women’s Commission. This position is not only given to select individuals, it is virtually one of the toughest positions to attain. With Ms. Argo’s charismatic character and her dedication to help fellow Oromo’s and other immigrants, we believe she not only deserves this position, she embodies the characteristics of a hero. Indeed Ms. Argo has the rare talent of putting the people she advocates for at ease. After all many Seattleites will be the first to admit her immense talent and ability to navigate the often exhausting political arena while staying true to her beliefs and future visions of the Oromo community which is not only a rare talent, but one that is welcomed and one that makes her community immensely proud of her contributions. We have all become accustomed to the popular term “busy” as many immigrants and non-immigrants alike use the term righteously or not. Often times without second thought most of us tend to say I cannot take part in this or that because “I’m busy.” It appears that Ms. Argo despises that term because she somehow finds time to take part in countless positions to further help her Oromo community. As a member of the East African Youth Advocacy Group she ensures the future generation of Oromo’s and other immigrants are given the opportunity to maximize their potential. Whether it is advocating for the youth to have a place to do their homework or giving them a meaningful opportunity to engage in productive discourse, Ms. Argo appears to never be busy to get involved in her community. In fact after having spent hours with her to learn as much as possible about her, we can effectively conclude her passion extends beyond her immediate community of Seattle, Washington. In her soft voice and bright smile she beams as she talks about her passion. When we thought Ms. Argo cannot possibly have any more time to take part in other activities, she once again left us mesmerized. 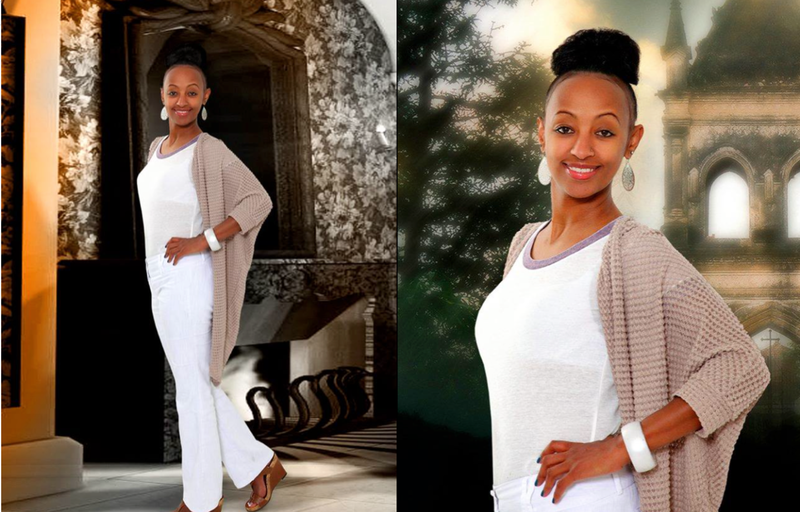 In between her many duties in the Seattle, Washington area, she founded Bareeduu Oromo (Miss Oromo Pagent) in 2003. Herself a graduate of Barbizon School of Modeling and Acting, Bareeduu Oromo is the first of its kind for Oromo people in the Diaspora and it was a success from the start. In partnership with the well known singer Saliha Sami, Ms. Argo has managed to successfully run Bareeduu Oromo for over a decade at Oromo Soccer Federation of North America’s annual soccer tournament which takes place throughout the United States and Canada. With participants from all over the United States, Miss Oromo is a success and continues to grow. Again, Saliha and Margitu teamed up to create Bareeda Oromo (Mr. Oromo) for interested male participants who want to take part in the competition. The male portion of the competition will debut this year as the first of its kind anywhere in the world. Not only did she contribute Mr. and Miss Oromo to the Diaspora community she also organized the first ever female soccer competition at the annual OSFNA tournament. When she is not organizing Mr. and Miss Oromo or taking part in her many roles in Seattle, Washington, Ms. Argo is often busy perfecting her acting career. She has been featured in “Darara Maati” and a few other short films. In spite of her busy and sometimes demanding schedule she also manages to have time to stay in touch with many of her friends. Recently, while conducting a phone interview with her we could not help but notice the countless times she had to excuse herself to answer the phone. 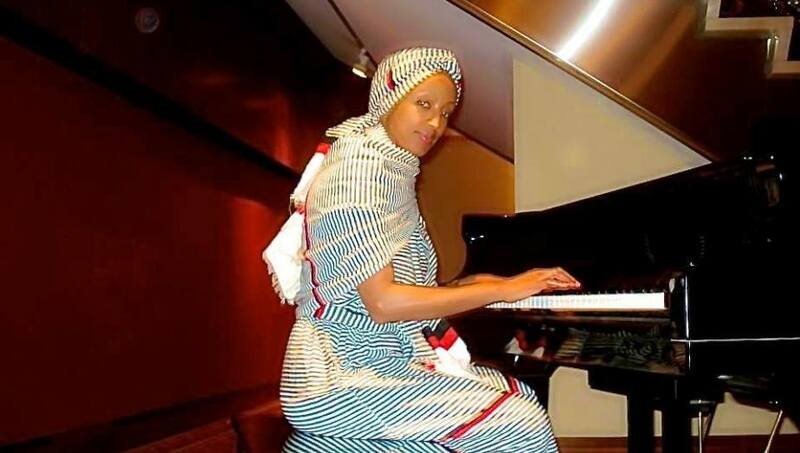 From singers and entertainers both back in Oromia to those in the Diaspora, she seems to know and keeps in touch with many celebrities and influential people like Toltu Tufa and others. We were fortunate to have met Ms. Argo. As we continued to be fascinated by her ambitious drive to help Oromo people from all over the United States, we wondered where she gets her drive from. Luckily we did not have to look far. Both of her parents are funny, charismatic, driven, and very passionate about Oromia and the Oromo cause. In fact she proudly speaks at length on how they have never missed the opportunity to attend Oromo Soccer Federation of North America’s (OSFNA) annual soccer tournament from its inception. She also credits her late uncle, Sanya Argo as well as her parents Mr. and Mrs. Argo for instilling in her a deep rooted pride in being Oromo. She recalls how her uncle would call back home when she was younger and if she answered in any other language besides Oromo he would shame her and tell her Oromo stories and so forth to instill Oromo pride in her. In fact in some ways she resembles her uncle who founded the first Oromo Community of Washington DC. He was a prominent member of the Oromo community and likewise she too wants to inspire younger Oromo’s. When she reflects about the past and her uncle’s role in shaping who she has become she states her uncle would say, “Ilmaan Oromo hundinuu ilmaan kiya” or “All Oromo kids are my kids,” a simple yet powerful statement that her uncle periodically shared with everyone. As our time with Ms. Argo comes to a close we want to extend our deepest gratitude to her and the folks in Seattle, Washington. It is not often we get the opportunity to meet individuals like Ms. Argo. She is the epitome of what hard work, dedication, and passion to help others coupled with a tenacious drive to improve the lives of fellow Oromo immigrants can achieve. Many Seattleites describe her as the Oromo Mayor of Seattle. And, after having heard so much about her we cannot help, but agree! And, we at OromoTV.com would like to end this incredible opportunity we were given to meet an all around wonderful individual by saying she is truly a hero in every sense of the word. When we asked her for a single sentence that best describes her she gave us this simple yet eloquent response, “I am an advocate and an activist for voiceless Oromo’s.” We think she is more than that; she is humble, compassionate, and eager to help her fellow Oromo people. So we want to say THANK YOU MERGITU ARGO and keep up the fabulous work. *We would like to remind our beloved visitors of this site and others who enjoyed this article; there are countless Oromo women throughout our community who play significant roles. Whether they are passionate activists like Ms. Argo or driven to bring children’s books written in Oromo to children all over the world like Toltu Tufa. These women are our sisters, aunts, and mothers and they are not only deserving of our gratitude, but deserve recognition for their hard work. **Stay tuned for a detailed and informative article on Margitu Argo and Saliha Sami’s Bareeduu and Bareda Oromo. PHONE INTERVIEW AS WELL AS WRITTEN CONTENT CONTRIBUTED BY: OROMOTV.COM’S EDITORIAL BOARD.